Miami versus FSU will never be the same. ESPN is reporting FSU coach Bobby Bowden will announce his retirement from coaching on Tuesday. The report comes after Bowden and FSU officials met Monday to discuss his future and the future of the football program, which is limping to a sad finish this season. Some reports said Bowden has been given the option to stay on as a figure head coach with a reduced role or walk away. If Bowden does bow out, he will leave behind shoes that won't likely be filled by any future coach in Tallahassee. His 388 career wins is second all-time to another great old geezer, Penn State's Joe Paterno. 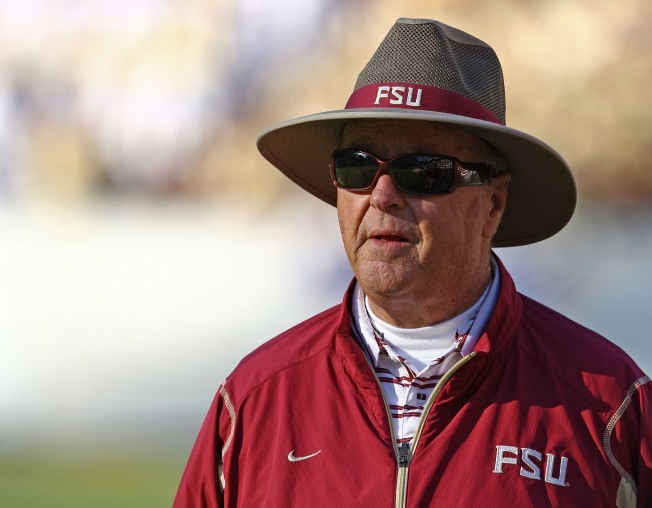 And with the rate with which coaches switch jobs or are fired, Bowden's 34 seasons as the face of Florida State football will likely be unmatched. Bowden, 80, said after his meeting with officials Monday that he still hadn't made up his mind, but it would be more appropriate that he make the decision to retire before someone unceremoniously makes it for him. Classy as always, Bowden dismissed the criticisms and continued to man the sidelines with the same Southern charm that made him a favorite for media interviews and home visits for college recruits. Maybe that's one thing time couldn't change. Bowden doesn't need a head coach in waiting lurking over his shoulder anymore. Jimbo Fisher is ready to take the reigns of a program that probably is in need of change. Bowden probably needs change, too. A change from the constant criticism back to the adoration of a community that can reflect on all he has brought to a program in three decades. Bowden led FSU to national championships in 1993 and 1999 and built a program that sustained greatness like few before it. From 1997 to 2000, FSU had 14 consecutive top-five finishes in the AP Top 25 poll. But lately, FSU has been average at best. On Monday, the school said they want better. Hopefully on Tuesday, Bowden will show that he is the better man and retire.